DID YOU KNOW: That not all bacteria are bad and that the human body NEEDS a healthy balance of good bacteria? Our digestive tract contains (or should maintain) about a 100 trillion of these microbes which helps the body defend itself against illness and also aid us in digestion. When our body loses this balance, or when the harmful bacteria outnumbers the good ones, we become susceptible to digestive health-related diseases such as diarrhea and constipation. Children in particular are more vulnerable to this problem and as parents, there’s nothing worse than having your child get sick with painful tummy problems. A stomachache isn’t only uncomfortable; it alters the mood of a child and his or her attitude for the day. It’s a good thing that PROBIOTICS are big on edible products these days and I have recently encountered one that’s not only easily taken but tastes absolutely good too. 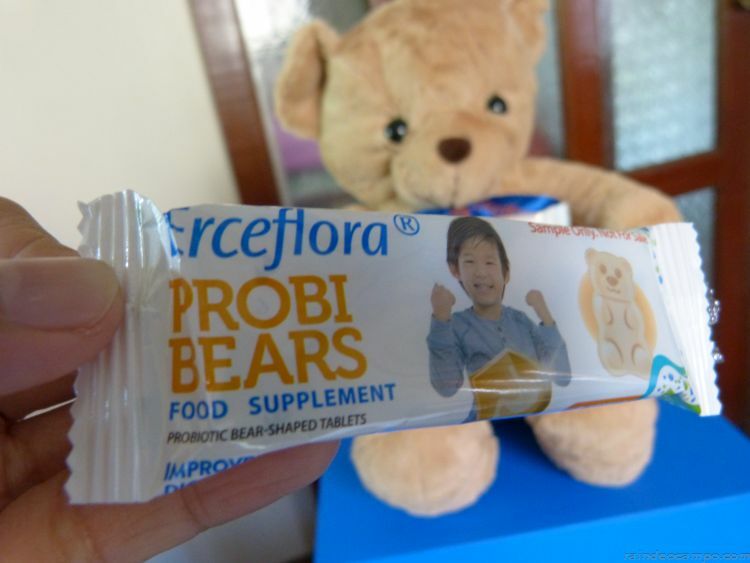 PROBIBEARS by Erceflora is a 2-in-1 Probiotic Supplement that contains both the combined goodness of Lactobacillus and Bifidobacterium and is specially made with the kids in mind. But first, let’s find out what PROBIOTICS is all about. Probiotics are live microorganisms that help maintain the balance of good and bad bacteria in the digestive tract. Every person, child or adult, needs a balance of good bacteria in the body. However, this balance is easily upset by a number of factors such as a poor diet, stress or by taking antibiotics and other medication. Scientists have found around 7 types of these “friendly” bacteria with Lactobacillus and Bifidobacterium as the most popular. Lactobacillus is good bacteria that are present in a lot of food. A study has shown that Lactobacillus was an effective treatment against infant colic and even helped improve immunity. Bifidobacterium, on the other hand, helps ease digestive issues such as bloating and flatulence. It also has a longer shelf life. We can get probiotics from eating yogurt and beverages that contain probiotics. However, the amount and quality of probiotics in those food and beverages may not be enough. 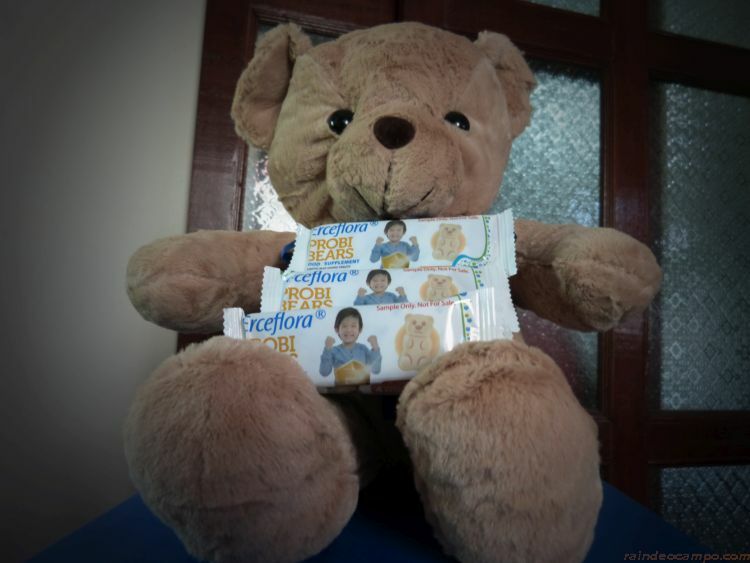 ProbiBears by Erceflora is a yummy tummy supplement with the combined 2-in-1 PROBIO-BOOSTER of not just Lactobacillus acidophilus, but also Bifidobacterium lactis – good bacteria that help prevent gut problems such as diarrhea, upset stomach, and other digestive illnesses. 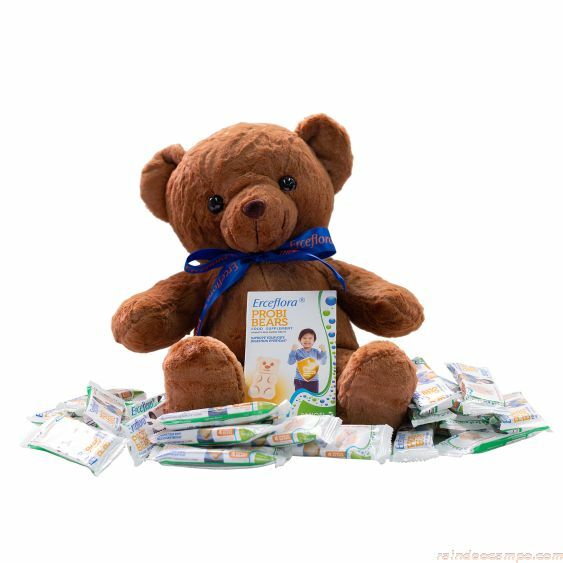 ProbiBears will be available in Mercury Drug outlets in June for a retail price of 540 Pesos per box of 20s. Last week, I received a box full of ProbiBears supplements from Erceflora. So I was able to try this new product before it hits the shelves nationwide. 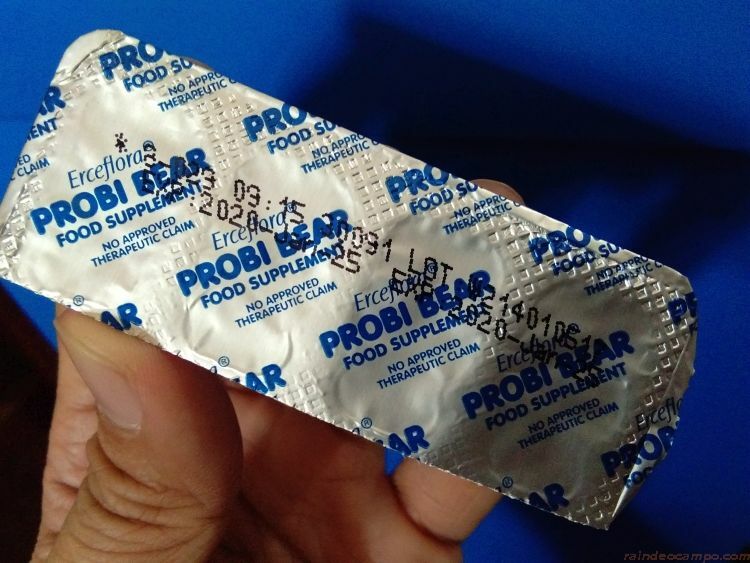 Each pack of ProbiBears contains four (4) delicious vanilla flavored probiotic bear-shaped chewable tablets indicated for children 3 years old and up. 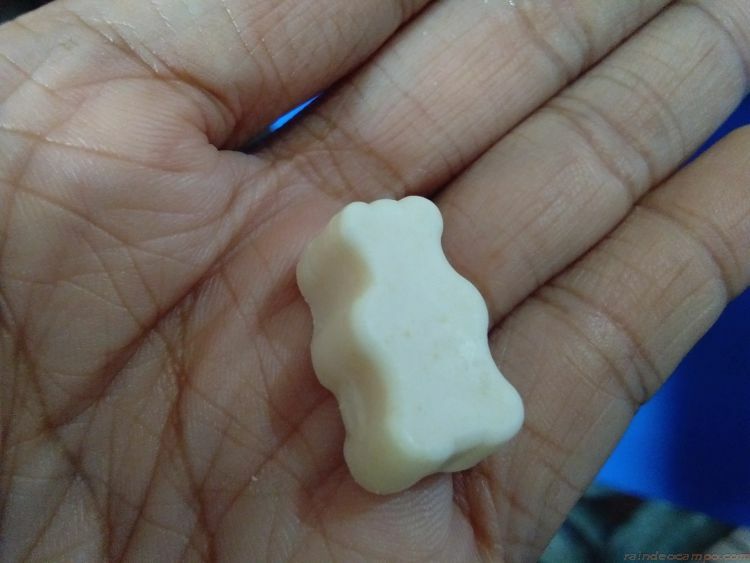 The suggested intake for kids is one (1) vanilla bear per day.